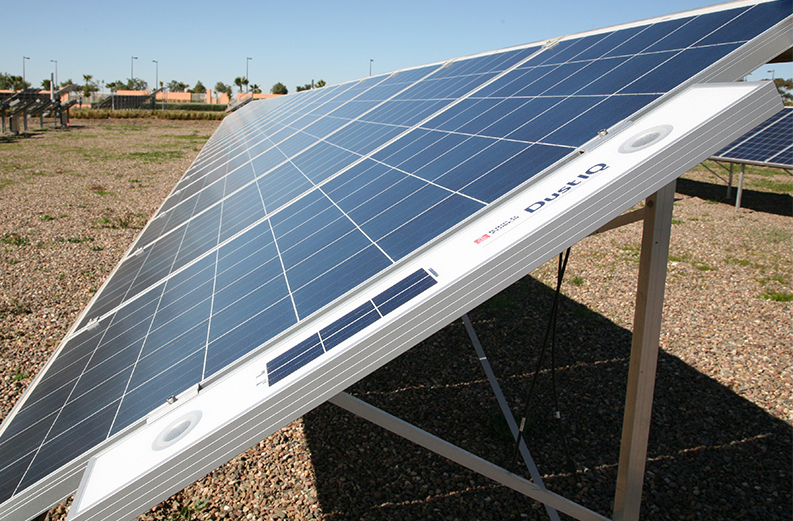 The main challenges for PV at GEP are soiling and temperature, because it is located in semi-arid climate. These two parameters contribute to the degradation of the PV modules but also have a large impact on the efficiency of the electricity production. The average soiling rate (SR) measurements are around 96.3% at GEP. On the other hand the location receives an average GHI value of 2100 kWh/m², which offers great potential for solar power generation. Often, sites with high irradiation records are located in deserts. This links to the presence of dust and the lack of water. As a result the OPEX and the O&M costs are increased, thus, it’s crucial for any project developer to assess and measure the SR values in the candidate sites for PV plants hosting and for long time (at least two years). 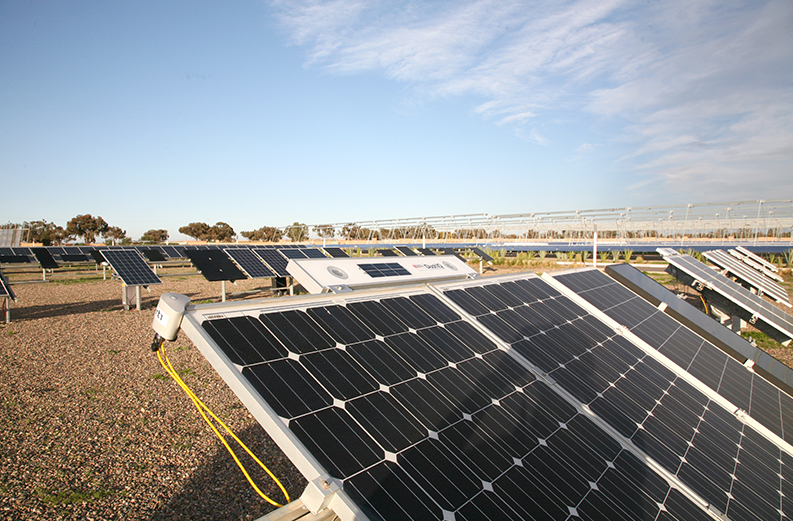 We evaluate the impact of soiling on the production and the O&M costs of PV plants. Based on long-term SR measurements and some technical and economical specific parameters we are developing software to run different cleaning scenarios and provide the most optimal one for a specific location. I know Kipp & Zonen from the scientific community and the high accuracy and reliability of their sensors. In my work on the meteorological and solar resource assessment, I have many years of positive experience working with their pyranometers. The new DustIQ system is a very practical soiling measurement system. It is very easy to install compared to other soiling systems and it can be installed at any location in the PV park. Furthermore, it uses an optical approach for the SR measurement which make it better than the two modules measurement method that is representative for only one specific technology. Green Energy Park (GEP) supported the development of DustIQ with field tests of Kipp & Zonen’s research team. Since February 2018 the DustIQ is the GEP site and measuring the on-site soiling ratio. Green Energy Park (GEP) is a research center, a training platform and a testing facility located in the green city of Ben Guerir, mid-south of Morocco developed by IRESEN (Research Institute of Solar Energy and New Energies). The PV capacity installed to date is 250kWp of residential installations from different technologies.